More Beautiful Than You Have Ever Imagined. I ordered this a long time ago, but I haven't received it. 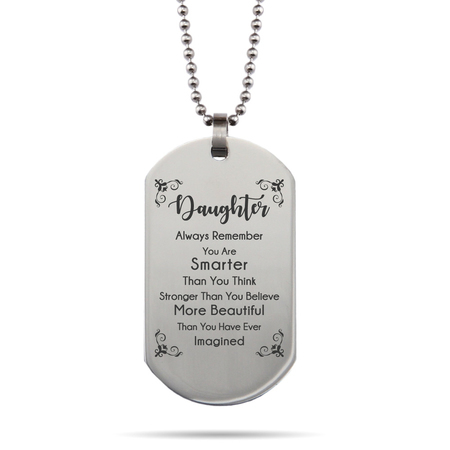 Daughter very happy with dog tag necklace, sentiment and design appealing for her.